Late last year, the makers of the smartphone revealed that they would be releasing two new phones: the BlackBerry Z10 and the BlackBerry Q10. As you may know, BlackBerry hasn’t been doing so well in the market. The release of these two phones was a make-or-break situation. Some people want the new BlackBerry to fail, but I am happy to say that they have done a phenomenal job since the announcement of the new phones. The company is attempting such an overhaul that they’ve even dropped their old name, Research in Motion, and are now known simply as BlackBerry. Since the Q10 isn’t available until later on this month, I can’t say too much about it. 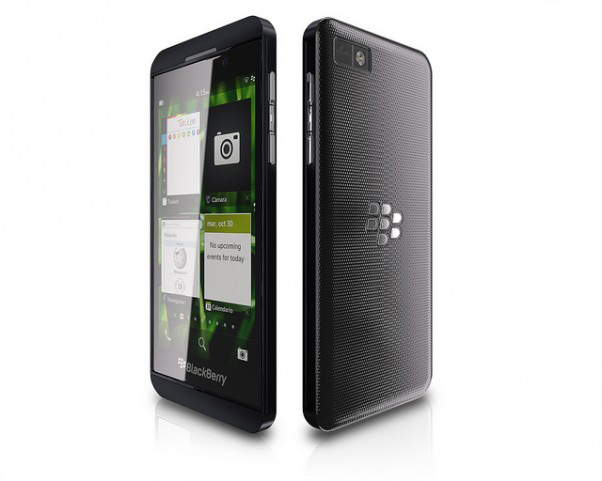 But let me tell you more about the Z10, which became available in Canada on February 5. Here are some technical details to get started: this device has a 16-gigabyte onboard memory, with an expandable memory of up to 32 gigabytes. It features a 4.2-inch touch display, both front and rear cameras, a 1280 by 768 pixel resolution, and the best battery that has ever been built in a BlackBerry, offering 10 hours of talk time and 13 days standby time, 1080 HD video recording, and the new BlackBerry 10 operating system. Like its contemporaries, the Samsung Galaxy S3 and the iPhone 5, it operates on the super-fast 4G LTE network. Added proprietary features in the operating system give this smartphone a twist: note-taking app BlackBerry Remember syncs your notes to the cloud, behemoth communications app BlackBerry Hub keeps all of your conversations in one place, and BlackBerry Messenger (BBM) has been updated to add Video Chat and Screen Share (and a less clunky groups interface). Again catching up with other smartphones, the Z10 offers Voice Control, instant editing of pictures, and a keyboard that helps you type faster as it adjusts to the way you write. I am a BlackBerry user, and I have experienced several problems with my smartphone, but when the thought of buying a new BlackBerry crossed my mind, I would ask myself: what’s the point? Curve, Storm, Bold—they’re almost all the same. There wasn’t a reason to upgrade until the Z10 came out. I have spent hours watching all the demos and videos on YouTube, comparing the Z10 to the top phones on the market and I must say that this phone hasn’t failed to impress. The developers at BlackBerry have made a tremendous effort to provide the public with information about the launch of their new smartphones. Holding conferences and allowing the public to interact with the smartphone before the launch truly shows that BlackBerry values their customers. Before the launch of the Z10, BlackBerry pledged to have 70,000 apps available. Popular apps that would have people running to other devices are now available on BlackBerry Z10, such as Angry Birds and Skype. The current retail price is $650, including tax with no contract. I could tell you more about this smartphone, but instead I think that you should give it a chance to sweep you off your feet.